Thank you so very much for these awesome photos! I met Arianna’s parents not too long ago when I photographed their wedding at the beautiful botanical gardens in Brooklyn NY. It was an honor having the opportunity to capture their love on their special day. And now, I recently had the honor and pleasure of photographing the beautiful baby Arianna. She’s so precious in so many different ways. achievements from the previous year. experiences working with STUDIO D. Award-winning vendors are distinguished for the quality, quantity, consistency and timeliness of the reviews they have received from their past clients. 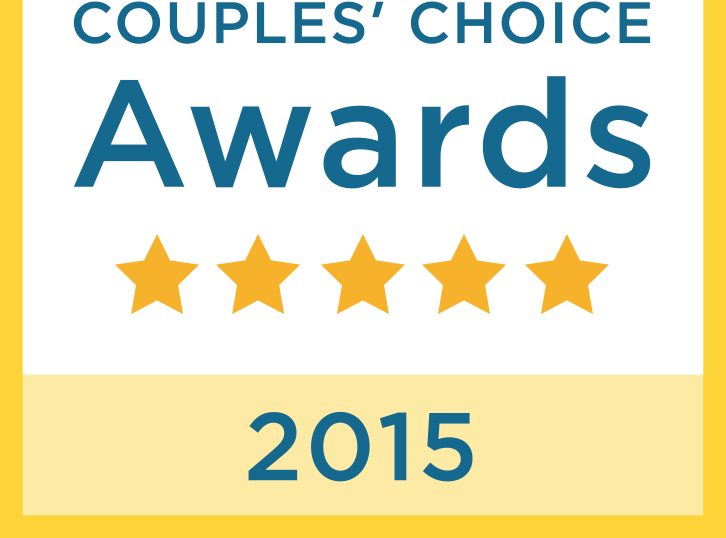 helped us earn the WeddingWire Couples’ Choice Awards® 2015. For more information about STUDIO D, please visit our WeddingWire Storefront today at http://www.weddingwire.com/biz/studio-d-brooklyn/c1657f142b4002f7.html. Baby Charles was just two weeks new when I had the honor and pleasure of meeting him. I was ecstatic when my good friend called me and asked me to photograph her baby, I couldn’t take my eyes off of him. He is absolutely perfect in every way. Words cannot express how happy we are for your new and perfect little family. This was the first time I met Chris after knowing of him for 8 years. He makes parenting look so simple! It was great to watch him and his baby boy! So happy you guys had this big old chest just lying around. Came in very handy to use as a prop. Brea! You’re a mom! I have been waiting for this! Motherhood comes so naturally to you. I loved watching you be you! And here is baby Charles! His debut in the world. He is perfect in everyway. I think I’ve said that before, but he is! Just like I said. Perfect! On a sunny early spring day, at a very intimate ceremony, Jenny & Matthew exchanged vows and tied the knot. The following day, we strolled around the one and only Central Park for a few pictures before heading to Moran’s in the heart of New York City’s popular Chelsea area. We stopped in Chelsea for a few more pictures before joining their closest friends and family for a small, yet lovely dinner. Congratulations to Jenny & Matthew on your beautiful union. Looking forward to many more happy occasions together! Fun is an understatement when describing Nebiet’s and Steven’s wedding. After traveling to various locations around New Jersey, the final stop was at the couple’s beautiful venue overlooking a breathtaking New York City. Nebiet and Steven, it was an honor capturing your special day and creating a lifetime of happy memories! It wasn’t even summer yet and the temps reached 95 in Brooklyn NY the day Jackie, John and I met. We had a great time finding the beautiful light peeking thru the trees near the Brooklyn Bridge overlooking the downtown Manhattan skyline. The view was nothing less than perfect. The sunset was nothing less than perfect. And the couple, well, to say the least, nothing less than perfect! Huge thanks to Jackie and John for tolerating the heat and for giving me the opportunity to capture your love! There is no doubt that when I initially spoke with Inna & Jeffrey I wasn’t just excited to shoot their engagement session in Lincoln Center and Fordham University Library, I couldn’t contain myself. Then the day came to shoot. I had an amazing time with Inna & Jeffrey capturing their love, personalities, and a little bit of iconic New York. I am so excited for their wedding in September at Fox Hollow and cannot wait to see them again! On a very windy April day, Amanda and Billy exchanged their heartfelt vows and said I do! Amanda and Billy met in The United Kingdom where they fell in love. So Billy and his family flew over the pond to wed his beautiful Amanda. Their story unfolds below. It was an honor and privilege to capture all of the special moments shared between the two families. Wishing you a lifetime of happiness! See you in London! The moment I met Maegan & Guy, I instantly knew that I was going to have a great time with them. Maegan’s smile is infectious, and Guy’s warmth was oozing out of him. They both were so sweet, made my teeth hurt. Their chemistry speaks for itself. It was a bitter cold day that Monday in Long Island City NY, however, Guy made certain that Maegan was in no way cold or uncomfortable for a second. I had a great time with them and especially loved how Guy had made use of Maegan’s Ugg Boots as gloves. Very creative. We hung around long enough to see the magnificent sunset. Congratulations to Maegan and Guy and I look forward to every minute of the wedding in October! I recently met with Linda & Michael for their 30 degree Central Park engagement session. I would have never imagined Linda taking off her coat on such a bitter cold day. However, looking at the love they share, you would never have guessed how cold it was. It was so sweet watching Michael caress and hold Linda in between shots to keep her warm. It was a pleasure having the opportunity to photograph the love you share. Can’t wait to photograph your wedding in warm and inviting May! Beautiful Central Park engagement session in 30 degree weather. Almost two years ago, I had the honor of meeting Jennifer and Jihan. As soon as I saw Jennifer, I immediately fell in love with her style and grace. Watching Jennifer and Jihan’s chemistry made me smile. It was so real. Soon after, I was photographing their wedding. The wedding was just as beautiful as the individuals who were getting married. Once again, Jennifer and Jihan have given me the honor of photographing their very beautiful baby Jessie. I was very excited to hear from Jennifer again, but even more so to hear that they had a baby girl. Thanks again to Jennifer and Jihan for giving me the opportunity to photograph your beautiful baby! Congratulations and wishing you a lifetime of happiness. Hoping to see you again at 1! Hello I love your work…simply beautiful..I was referred by my friend Jenny..whom wedding you just did..I was interested in taking anniversary pics in the fall…As well as personal bday pics for my self..Please email me or call 201-306-6192..Thank you so much in advance..Hope to work with you soon. Nicole and James’ affair was a beautiful one in late September. It was a beautiful day to have a wedding at Raphael’s Vineyard on the North Fork of Long Island and watch Nicole & James tie the knot. As I was photographing Vanessa and Wayne’s wedding, I stopped what I was doing and looked at Vanessa. Every expression, every time she looked at Wayne, all I could see was how crazy in love she is. And I, loved the way she looked. Here’s a little preview of what’s to come. Loving the New York sunsets….. I am always photographing couples in Dumbo, Brooklyn. This small area gives me an enormous opportunity to constantly create something new and exciting. This time it was different. Whether Kareene and Luke were just sitting or walking, this usual space became a new and exciting endeavor. Their unspeakable good looks and chemistry made this session particularly easy and as fun as ever to photograph. Congrats to Kareene and Luke. Can’t wait for the wedding. I absolutely love our pictures and we are just ecstatic to have found you Diana! Gorgeous photos Diana!!! Omg! Wow!!! Aaaahhhhh, que bellos salieron en todas las fotos, mi prima querida! se ve que hay amor como debe de ser….. felicidades otra vez! muahhh! The pictures are stunning! You two look Great! You should send these to Hallmark and make some money! Brooklyn never looked so good! CONGRATULATIONS – YOU LOOK MARVELOUS DARLIN, SIMPLE MARVELOUS! MAY GOD CONTINUE TO BLESS YOUR UNION. The MOST beautiful couple I have ever seen!!! Me too!!! And so many more!!! Diana you rock!! what great pictures of the two of you….how come I didn’t think of this when I got engaged…. beautiful : ). Really BEAUTIFUL pictures!!!!!!!!! Congratulations Rachel & Geoff!!! Gorgous! Simply beautiful!!! CONGRATS to you both! Love you both. Soooo beautiful! I am soo happy for you guys…God Bless xoxo. Not sure what shined more on that cold February day; the stars above or the love that Jillian and Scott share. Just two weeks ago, we had the honor of photographing a very elegant wedding at Fox Hollow on Long Island. Jillian and Scott are two of the most incredibly sweet and kind people I have photographed. They were just so loving! Jillian and Scott, it was a pleasure working with you and I hope we will see each other again very soon. Many wishes for a lifetime of happiness and everlasting love on your journey together. gorge pictures! absoutely amazing! best of luck. Love every last pic!! Love you guys! Gorgeous Bride and Groom <3. Hope all is well. I picked up the photos last week. We poured over each one while on the phone, hearing his reactions were priceless. We love the photos!! You truly captured the love and emotions that we have for each other. I’m waiting for my mom and sister to view the photos. My friends loved the composition and various locations. One of my friends felt that you were telling a story with each series of shots. It’s hard to believe all of this was shot within a few blocks. The views of the city and bridges were spectacular. The sepia and b&w photos are wonderful. My best friend loved the photos with the pink hues. The photos in the brush are beautiful…we loved them all! We are grateful and blessed to have such wonderful photos captured by you. Deciding which ones to print will be difficult. We may have to setup an art gallery in our home to display these photos. You’re a gem and just wanted to tell you how excited we are to work with you again in April. Thanks to Jacques Torres for allowing us to shoot inside and for some yummy chocolate!!! Winter weddings have a unique charm. Add some snow and the night’s complete! Wow! I LOVE it! You are so talented and truly go above and beyond! Ciara Gedulig – in here! WOWSA supermodel! I loved having the opportunity to photograph Ciara & Anthony’s wedding yesterday at the Hopkins Inn in Connecticut. The views were breathtaking. The beauty of this little quaint inn was endless. What a great way to finish the evening. One of the things that I love about photographing weddings, are the engagement sessions. This is the time where I can really get to know my couples. I love how every couple is different from the other, and yet, in some way, they are all similar. This year for weddings has been a good one. I count my blessings every day for my nothing less than perfect clients and their trust in me to capture their special day. They put as much effort into looking perfect as I do capturing their stories of love. In the end, All We Need Is Love! Because of the busy wedding season, I haven’t had the opportunity to blog all of my weddings. I’ve finally had a chance to catch up on some of my posts. I don’t need to say more, the pictures speak for themselves. I am so proud to have such an extremely talented friend. Diana, you are amazing! And all those couples will have these beautiful photos to look at, and remind them of their special day, for the rest of their lives. Great job as always!!!! Even though it rained, Aleksandra and Yan’s love brightened the day more than any sun ever could. Aleksandra, you are without a doubt beautiful both inside and out. Yan, handsome is putting it lightly. You’re such a special person and have the innate ability to make anyone around you fall in love with you. Thank you both for letting me capture your special day. Aleksandra and Yan, you’re awesome. Special thanks to Fernando Colon, U-Mode Salon, and Snug Harbor Staten Island. Wow you guys look amazing. Incredible pictures of the dazzling newly weds. Mazel Tov! Beautiful pictures, great couple and most gorgeous bride!!!! Omg so beautiful hun! Loved your dress u look stunning <3 congrats once again!!! Ohhh my, can’t stop looking at these magical pictures 🙂 love love love <3 can't wait to see all of them one by one. Thank you Diana for being such an amazing, creative and dedicated person as you are. We love you!!! Their story begins when they met traveling to Berlin separately. When we met, James told me he saw Gajal across a table at a restaurant in Berlin and said he’s never seen a woman more beautiful than her. It may sound like a cliché to you, but to James, it was love at first sight. Yesterday I had the extreme pleasure to watch Gajal and James, two individuals “travel” throughout the day to become one. Every moment was more beautiful than the one before it. Amazing picture! The colors are so vibrant! © 2019 studioDnyc.com|ProPhoto Photography Theme by NetRivet, Inc.